While recent primaries and the upcoming presidential election have been the focus of the nation’s attention, the City of College Station has been gearing up for its own election with places 4 and 6 on the city council at stake in November. Why do people run for political office, particularly at the local level? In College Station, our council members devote many long hours to fulfill their responsibilities — and aren’t paid a dime. Among the many reasons they do it is the opportunity to serve their community or to bring about change. Before they can serve, they must be willing to endure a campaign that takes a lot of time, energy and money. 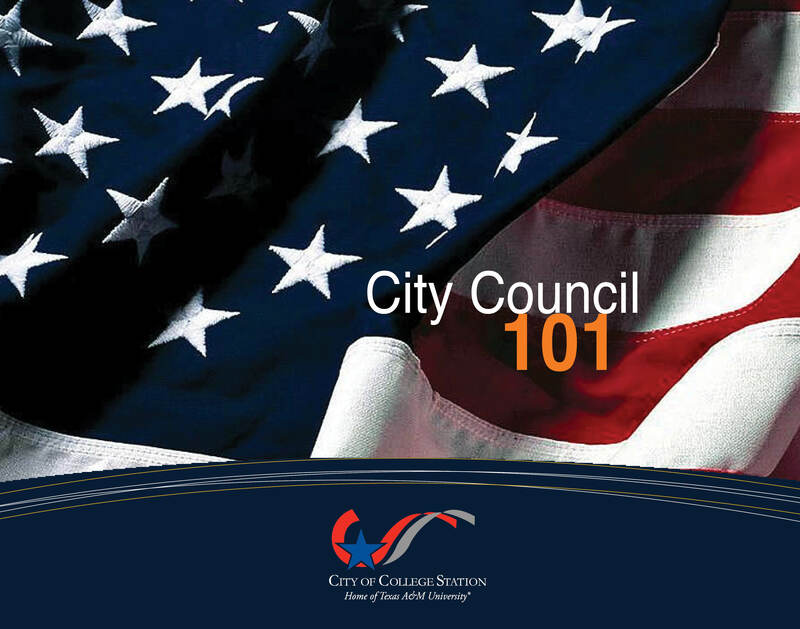 That’s why we’ve developed a seminar for prospective candidates called City Council Basics 101. The program is designed to help candidates better understand the requirements, duties and limitations of the office, as well as open meetings laws and conflicts of interest. We’ll also cover our form of government, the role of city staff and critical issues facing the city. Our goal is to help potential candidates make informed decisions about entering a political race and to gain an accurate understanding about what’s expected if they are elected. If you are considering running for city council this fall, we invite you to attend the seminar on Tuesday, June 26 at the City Hall Council Chambers. We’ll get started about 6 p.m. and expect to wrap things up around 7:30. The filing period is July 21-Aug. 20. For more information about the seminar, call 979.764.3541. We are excited to meet you and help you make a decision! This entry was posted on June 19, 2012 by City of College Station. It was filed under City Council, City Secretary, Public Communications and was tagged with city council, city secretary, elections.